You can do so much with black eyeliner. All kinds of variations come with feline flicks, from super dramatic Arabic style eyeliner to thin baby wings with just enough to accent the eye. Aside from that, you can get really creative and try different eyeliner techniques. We bring you the 10 most beautiful black eyeliner looks to get you inspired. If you have nailed the classic cat eye, it’s time for a new challenge! 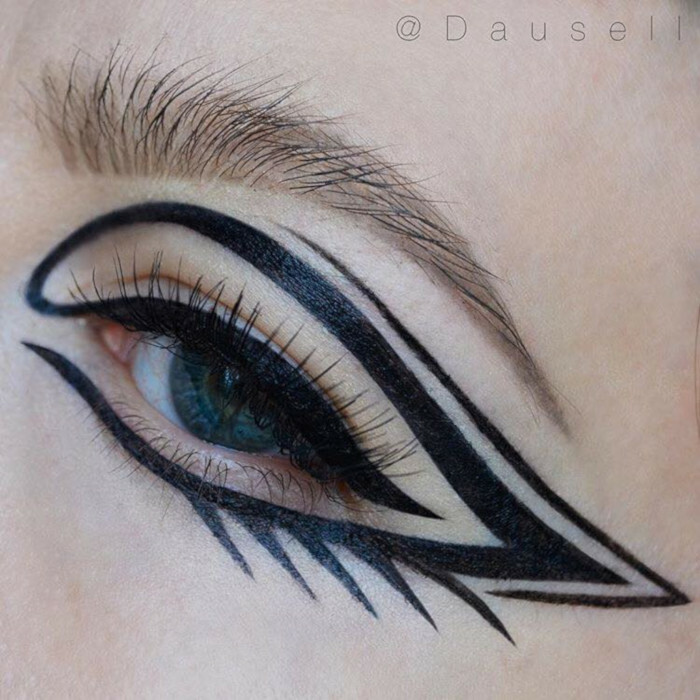 This eyeliner look evolves from a baby cat wing to a bold, graphic liner look. The faux bottom lashes achieved with black eyeliner add so much drama to this look.